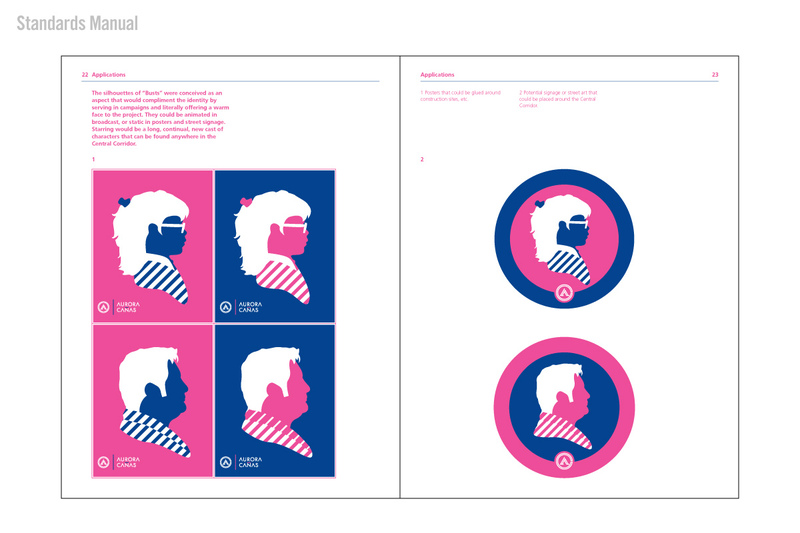 City branding for a 5 mi / 7 km radius in the heart of Guatemala City, Guatemala. 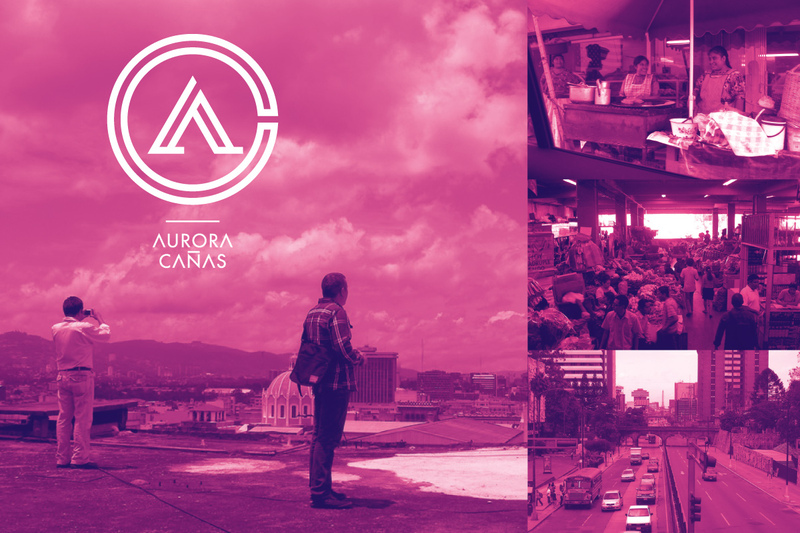 Project aims to reorient urban expansion and the current fragmentation of Guatemala City by revitalizing the Aurora Cañas Central Corridor. Goals of the project range from reducing traffic with the likes of a rapid-transit bus system; bring about an increase in both foreign and domestic investments from the public / private sectors; promotion of social integration through city densification, mixed-use neighborhoods, and public space recovery; and increase in the overall quality of life, atmosphere, and prosperity for the area’s inhabitants through a variety of initiatives big and small. 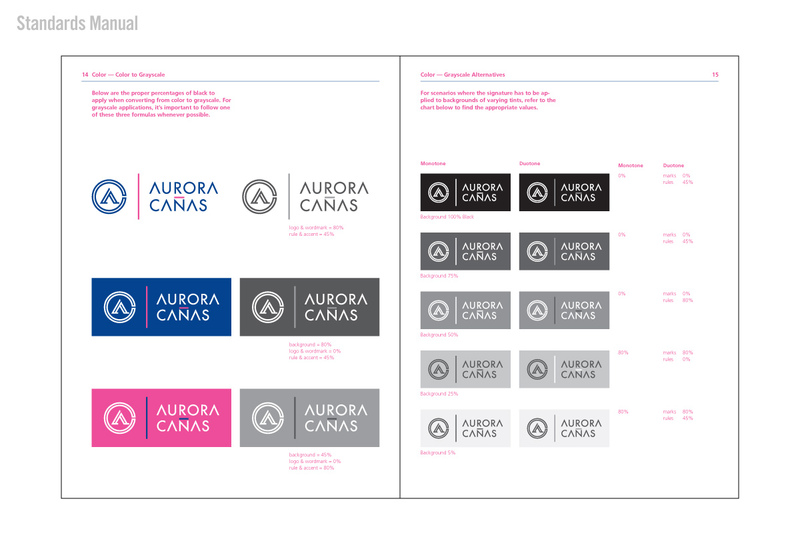 Branding and design services included development of a brand narrative based on municipal objectives, creation of the logo and wordmark, 24-page standards guideline, supplemental illustrations, presentations, and the layout of an 8-page project dossier. To start the project off, we did our due diligence focusing research on the last 50 years of Guatemalan history, as well as studying a collection of documents detailing the Aurora Cañas Central Corridor history, and vision over the next 20 years. From civil war, local politics, natural disasters, economics, and geography we did our best to get a broad idea of what’s going on in Guatemala City, where Guatemala is going, and where Guatemala has been. The theory and practice of ‘placemaking’ was also a preliminary subject of research, from Jane Jacobs in the 1960’s, to Bogotá Columbia in the present day. 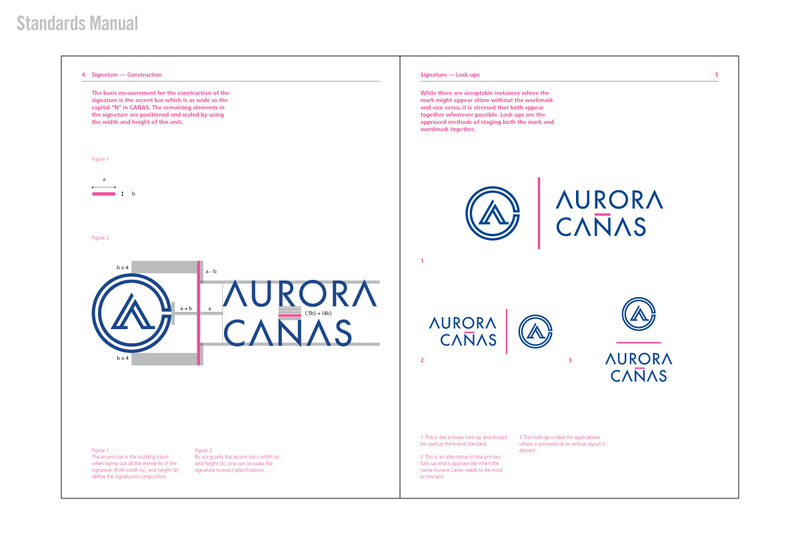 In the final solution, the logo depicts a triangular, serifed form, which represents the stride and feet of our pedestrian protagonist, while also representing “A” for Aurora. 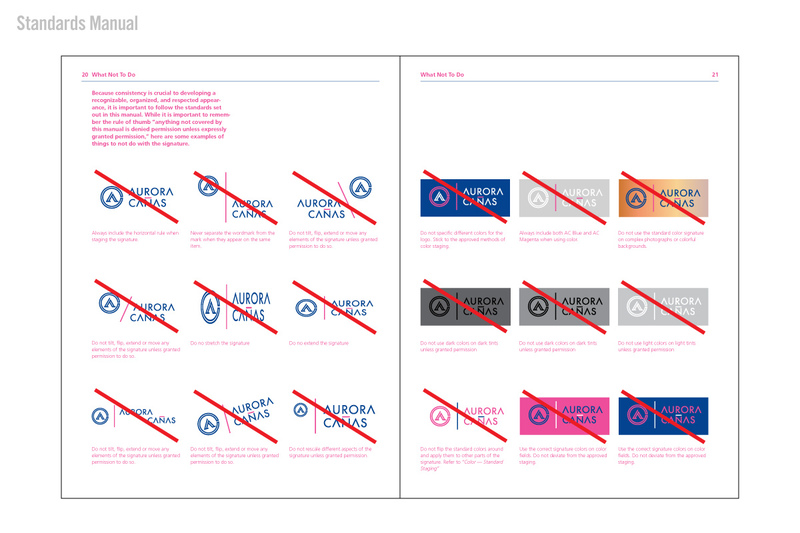 The encompassing circle meanwhile represents “C” for Cañas, and the entire single weight, bi-lined treatment was intended to bare semblance to the international aesthetic of traffic signage. 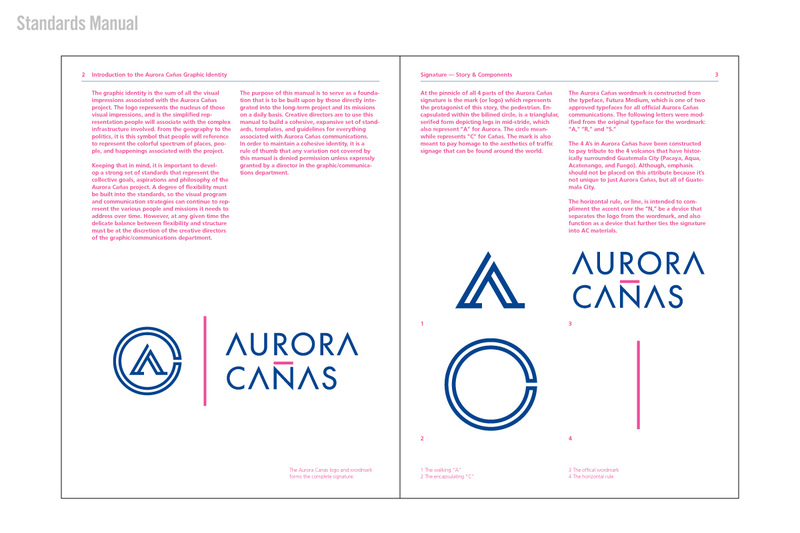 The Aurora Cañas wordmark is constructed from a preexisting typeface, with 3 modified letters: “A,” “R,” and “S.” The 4 A’s in Aurora Cañas have been constructed to pay tribute to the 4 volcanos that have historically surrounded Guatemala City (Pacaya, Aqua, Acatenango, and Fuego). 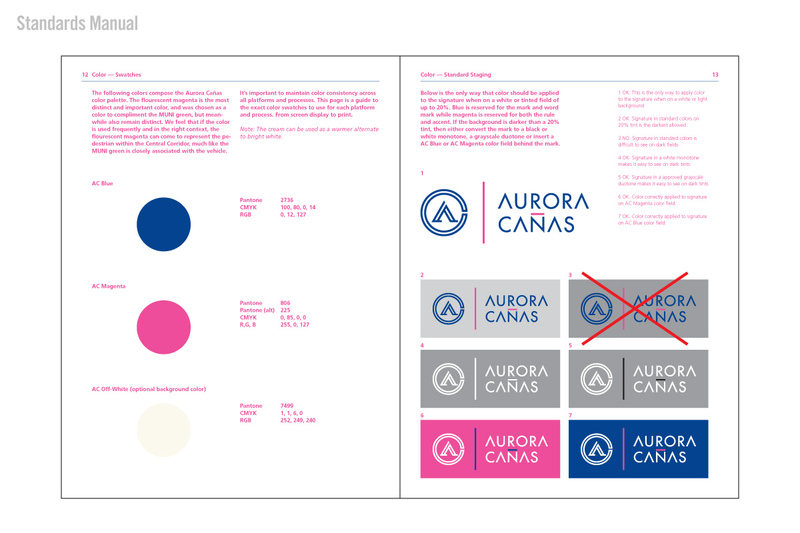 Once the Aurora Cañas signature was complete, we concluded the project by developing a 24-page standards manual, and 8-page project dossier with a tri-fold jacket and map. 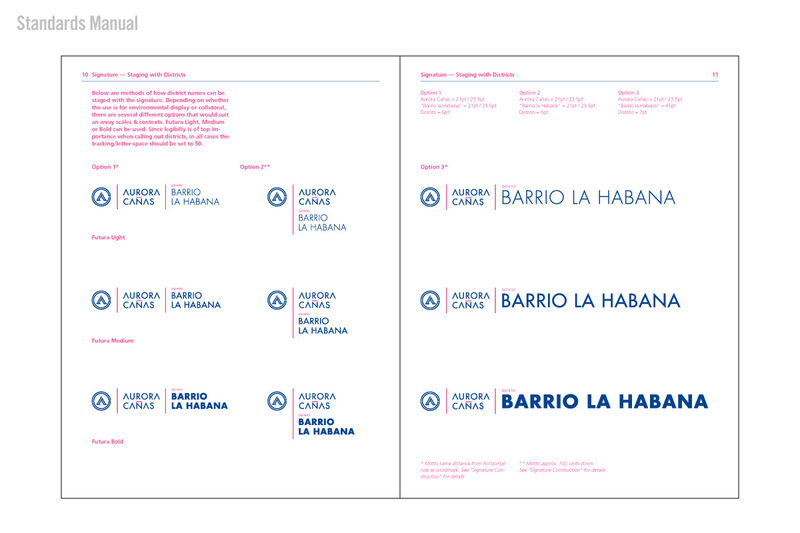 Project challenges included the sensitivity of developing communications aimed to reach and appeal to an audience of more than 1 million, working through the Spanish-English language gap, project management over international borders, and working with a foreign municipality’s city planners.